The ever popular pasta salad is sturdy and economical, but is it nutritious? It sure can be, and research from UC Davis Department of Plant Sciences professor Jorge Dubcovsky is helping to make that so. 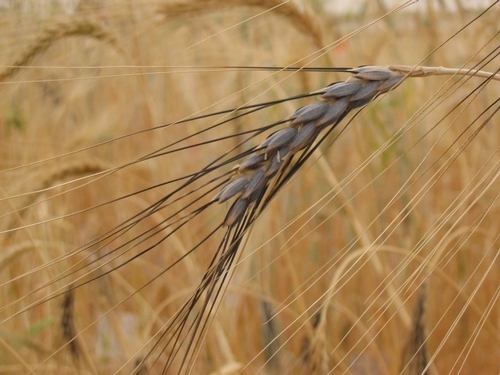 Dubcovsky’s team discovered a gene in domesticated wheat that had been damaged, a gene that controls the distribution of nutrients to the grains in healthy grain plants. What’s more, they discovered a copy of that damaged gene in wild wheat, enabling them (and others) to breed new varieties with substantially increased levels of protein, iron and zinc. Wheat provides about 20 percent of all the calories people consume worldwide. In other words, we eat a lot of it – it’s second only to rice as a human source of calories. Sometime during its domestication (some 10,000 years ago) wheat underwent a change that lowered the protein, zinc and iron content in its grain. In 2006, after years of mapping, Dubcovsky and his team discovered the culprit - a mutation in a gene called NAM-B1. In healthy grain plants, NAM-B1 controls the remobilizing and distribution of nutrients to the grains when the leaves die off. Without a working copy of the gene, cultivated wheat is not a good processor of its nutrients, so large amounts of protein, iron and zinc are left in its straw. 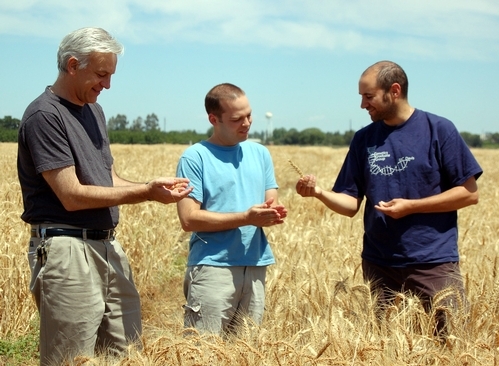 Dubcovsky’s team then examined the ancestors of commercial wheat and found, amazingly enough, a fully functional NAM-B1 gene within the genome of wild emmer wheat. Emmer wheat can be freely crossed with domestic wheat using conventional means, so no controversial genetic engineering methods were needed to restore the lost gene. The University of California has already released one variety – Lassik - with the increased nutritional punch. Lassik also is genetically improved for stronger gluten and resistance to both stripe-rust and leaf-rust disease. And because the new strains were bred from widely used commercial varieties, the new variety retains its farmer-friendly characteristics such as high yield and consumer-friendly trait like excellent taste. The new plants are in the public domain, distributed to breeders across the globe. Some 2 billion people around the world lack adequate micronutrients, so more nutritious wheat could make a big difference in fighting world hunger.